from within that specific folder containing the tests. 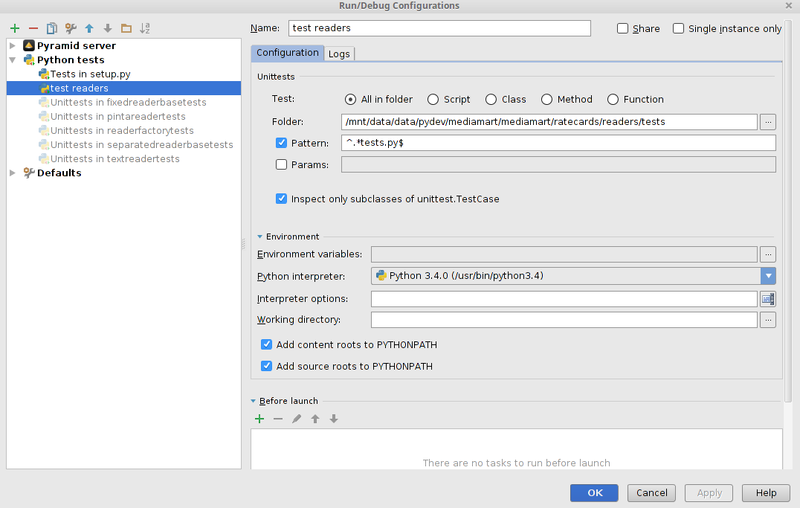 I played around a while with PyCharm to find a run configuration that actually allows me to runn all tests from all files within a folder at mouseclick. I settled for the middle option, but all 3 work.